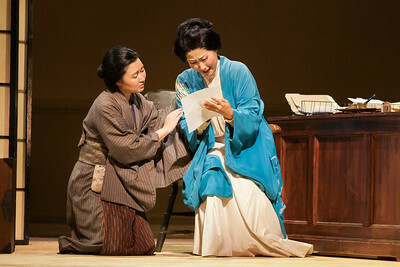 The Glimmerglass Festival's 2014 production of "Madame Butterfly." Please see captions and photo credits beneath each photo. 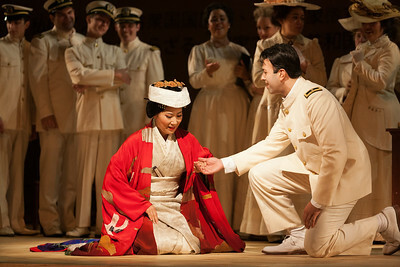 The Glimmerglass Festival's 2014 production of Puccini's "Madame Butterfly." Photo: Karli Cadel/The Glimmerglass Festival. 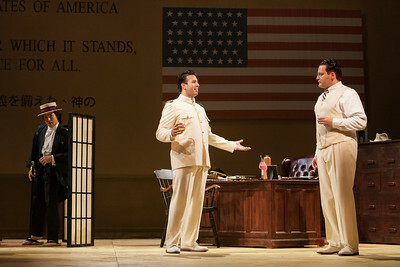 L to R: Dinyar Vania as Lieutenant B.F. Pinkerton and Aleksey Bogdanov as Sharpless in The Glimmerglass Festival's 2014 production of "Madame Butterfly." Photo: Karli Cadel/The Glimmerglass Festival. 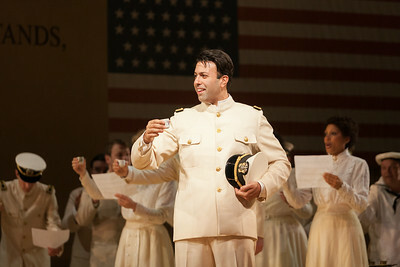 Dinyar Vania as Lieutenant B.F. Pinkerton in The Glimmerglass Festival's 2014 production of "Madame Butterfly." 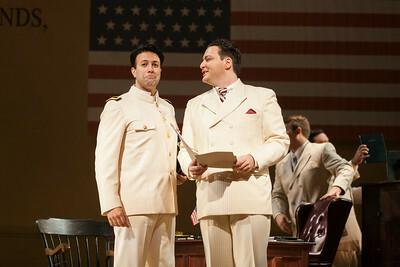 Photo: Karli Cadel/The Glimmerglass Festival. 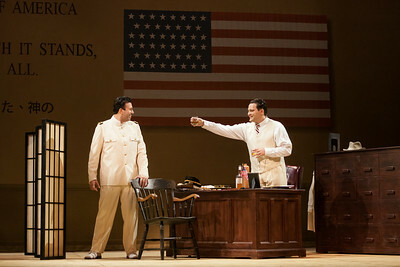 L to R: Ian McEuen as Goro, Dinyar Vania as Lieutenant B.F. Pinkerton and Aleksey Bogdanov as Sharpless in The Glimmerglass Festival's 2014 production of Puccini's "Madame Butterfly." 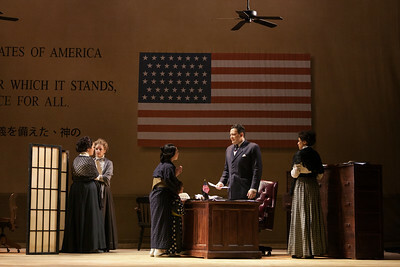 Photo: Karli Cadel/The Glimmerglass Festival. 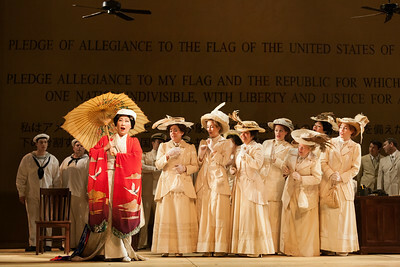 The ensemble of The Glimmerglass Festival's 2014 production of "Madame Butterfly." 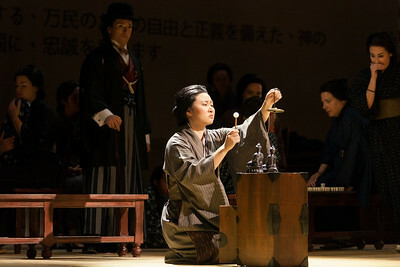 Photo: Karli Cadel/The Glimmerglass Festival. 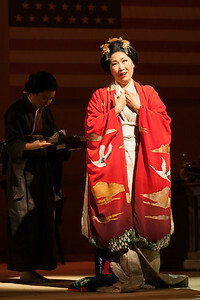 Yunah Lee as Cio-Cio-San in The Glimmerglass Festival's 2014 production of "Madame Butterfly." Photo: Karli Cadel/The Glimmerglass Festival. 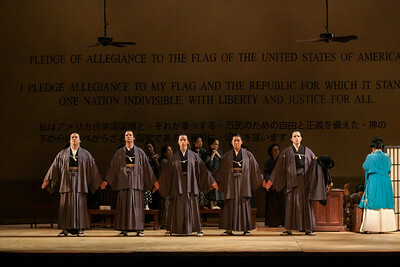 Yunah Lee as Cio-Cio-San with members of the ensemble in The Glimmerglass Festival's 2014 production of Puccini's "Madame Butterfly." Photo: Karli Cadel/The Glimmerglass Festival. 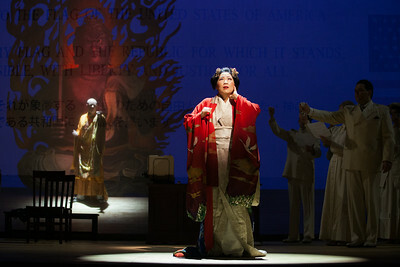 Yunah Lee as Cio-Cio-San and members of the ensemble in The Glimmerglass Festival's 2014 production of "Madame Butterfly." Photo: Karli Cadel/The Glimmerglass Festival. 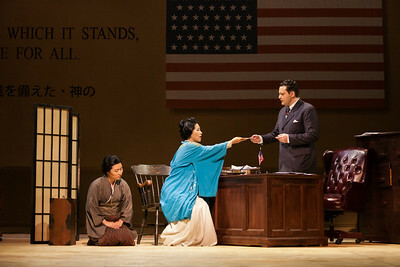 Yunah Lee as Cio-Cio-San and Dinyar Vania as Lieutenant B.F. Pinkerton in The Glimmerglass Festival's 2014 production of Puccini's "Madame Butterfly." Photo: Karli Cadel/The Glimmerglass Festival. 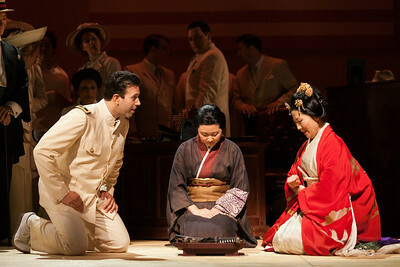 L to R: DInyar Vania as Lieutenant B.F. Pinkerton, Kristen Choi as Suzuki and Yunah Lee as Cio-CIo-San in The Glimmerglass Festival's 2014 production of Puccini's "Madame Butterfly." Photo: Karli Cadel/The Glimmerglass Festival. 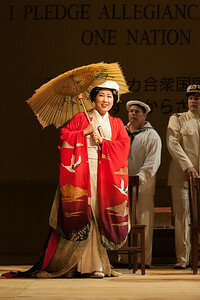 Yunah Lee as Cio-Cio-San in The Glimmerglass Festival's 2014 production of Puccini's "Madame Butterfly." Photo: Karli Cadel/The Glimmerglass Festival. 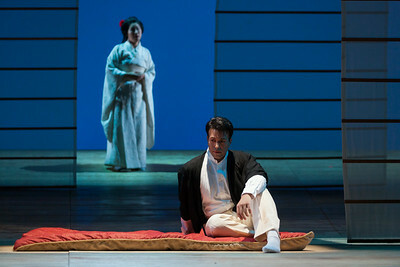 Thomas Richards as The Bonze and Yunah Lee as Cio-Cio-San in The Glimmerglass Festival's 2014 production of "Madame Butterfly." Photo: Karli Cadel/The Glimmerglass Festival. 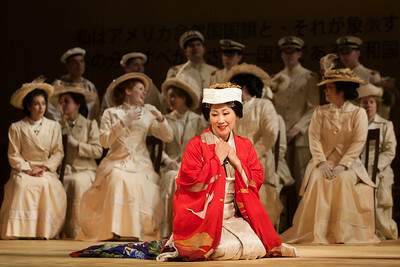 The Glimmerglass Festival's 2014 production of "Madame Butterfly. 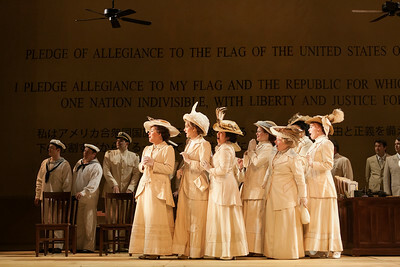 Photo: Jessica Kray/The Glimmerglass Festival. 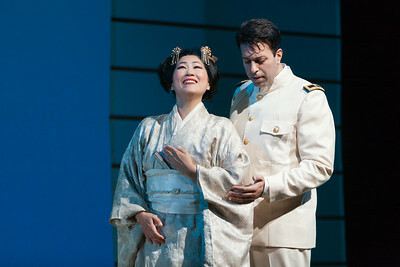 Dinyar Vania as Lieutenant B.F. Pinkerton and Yunah Lee as Cio-Cio-San in The Glimmerglass Festival's 2014 production of "Madame Butterfly." Photo: Karli Cadel/The Glimmerglass Festival. 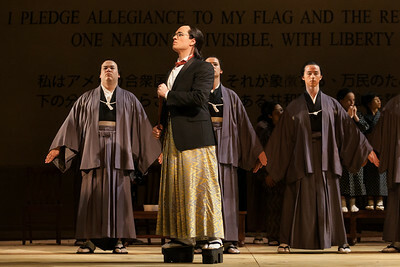 Aleksey Bogdanov as Sharpless (center) and members of the ensemble in The Glimmerglass Festival's 2014 production of "Madame Butterfly." Photo: Karli Cadel/The Glimmerglass Festival. 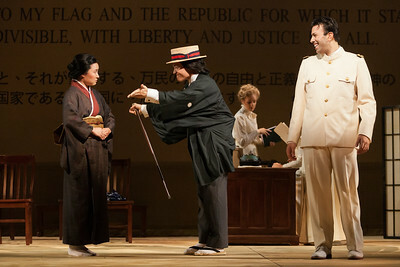 L to R; Kristen Choi as Suzuki, Ian McEuen as Goro and Dinyar Vania as Lieutenant B.F. Pinkerton in The Glimmerglass Festival's 2014 production of "Madame Butterfly." Photo: Karli Cadel/The Glimmerglass Festival. 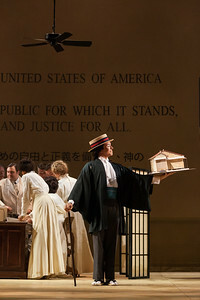 Ian McEuen as Goro in The Glimmerglass Festival's 2014 production of "Madame Butterfly." Photo: Karli Cadel/The Glimmerglass Festival. 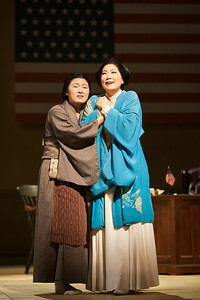 Kristen Choi as Suzuki and Yunah Lee as Cio-CIo-San in The Glimmerglass Festival's 2014 production of "Madame Butterfly." Photo: Karli Cadel/The Glimmerglass Festival. 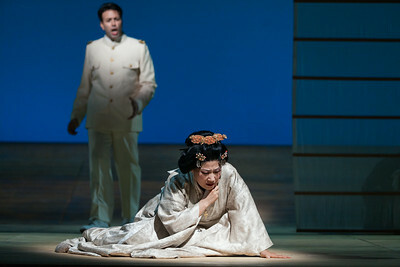 Kristen Choi as Suzuki, Yunah Lee as Cio-CIo-San and Aleksey Bogdanov as Sharpless in The Glimmerglass Festival's 2014 production of "Madame Butterfly." Photo: Karli Cadel/The Glimmerglass Festival. 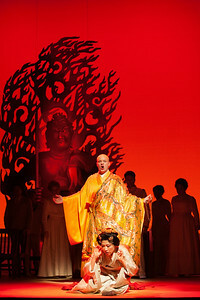 Sean Michael Plumb as Prince Yamadori and members of the ensemble in The Glimmerglass Festival's 2014 production of Puccini's "Madame Butterfly." Photo: Karli Cadel/The Glimmerglass Festival. 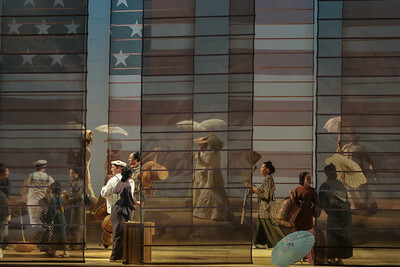 The ensemble in The Glimmerglass Festival's 2014 production of "Madame Butterfly." 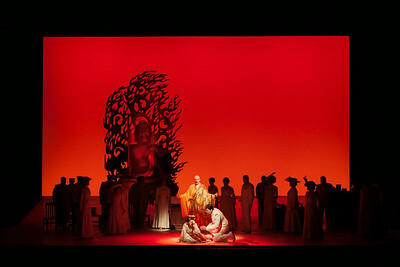 Photo: Jessica Kray/The Glimmerglass Festival. 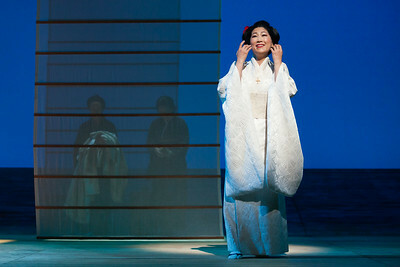 Kristen Choi as Suzuki in The Glimmerglass FEstival's 2014 production of Puccini's "Madame Butterfly." Photo: Karli Cadel/The Glimmerglass Festival. 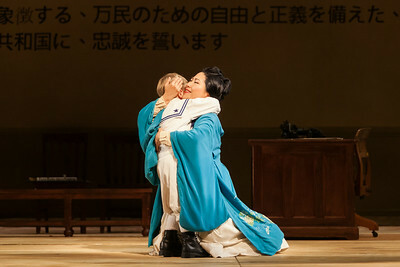 Yunah Lee as Cio-Cio-San and Louis McKinny as Sorrow in The Glimmerglass Festival's 2014 production of Puccini's "Madame Butterfly." Photo: Karli Cadel/The Glimmerglass Festival.